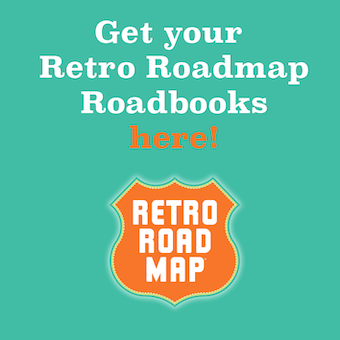 Many people ask me how and why I started Retro Roadmap, and what started it all. And funny for me to think that after all these years so many things about me have changed, but so many remain the same. 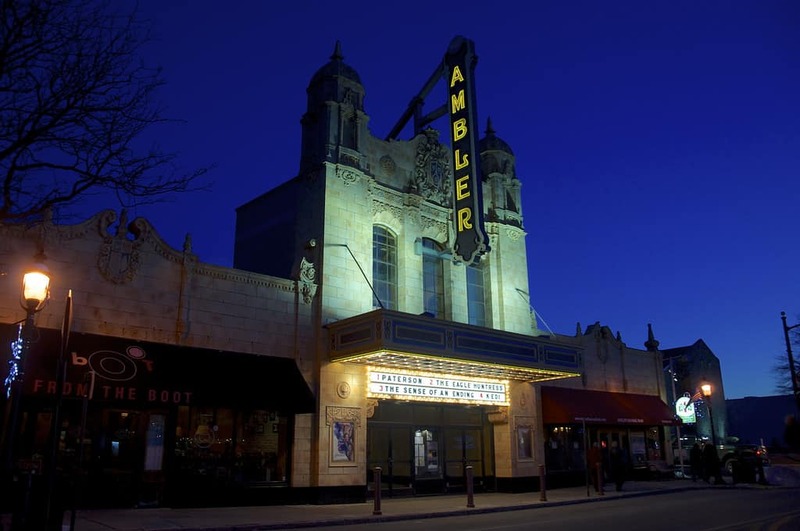 Like my love of old theaters. This began in the early 1980s, and has lasted until this day. Going to concerts and rock shows and crazy live events at some of the old theaters in Boston really flipped a switch for me. 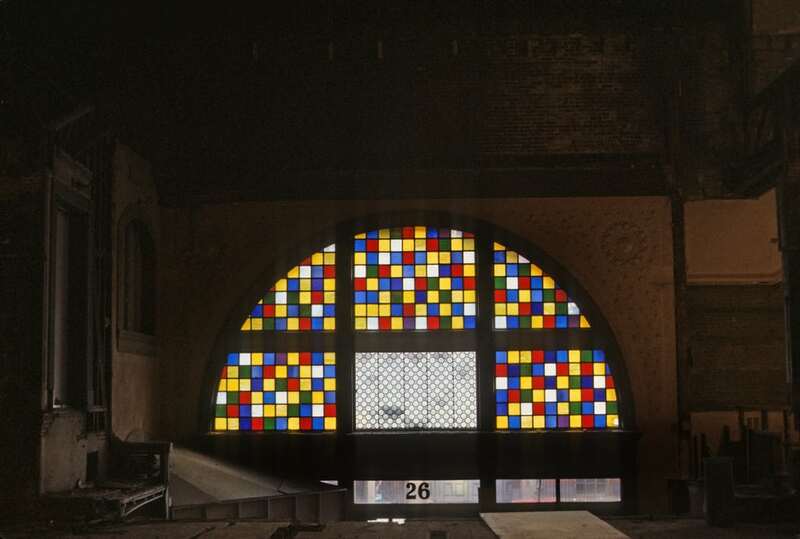 While many of these old places had seen better days, you could just sense by walking into them that history had been made there. 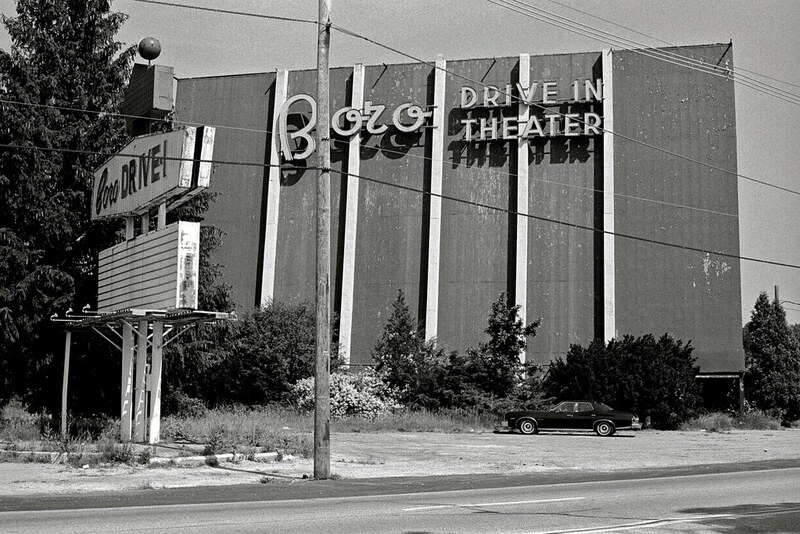 That for decades, this is where people went to be entertained, and now I too was part of that history. and no I was not there for Quiet Riot! 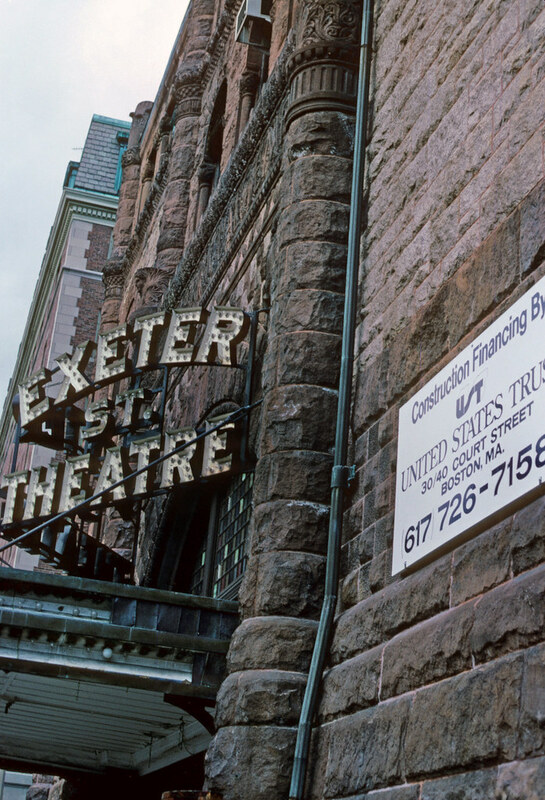 The Orpheum, The Opera House, The Exeter Street Theatre – these were my first forays into what I still love today – rock and roll, old architecture, photography. 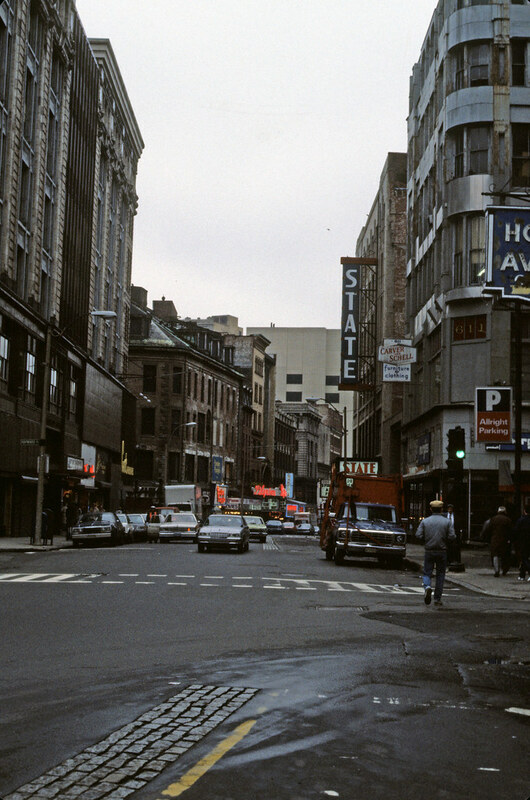 When required to do a presentation for one of my first college freshman classes, I opted to do mine on the historic theaters of Boston, even though my school was miles away from the city. I’d take the bus into South Station and start “sploring”, camera in hand. 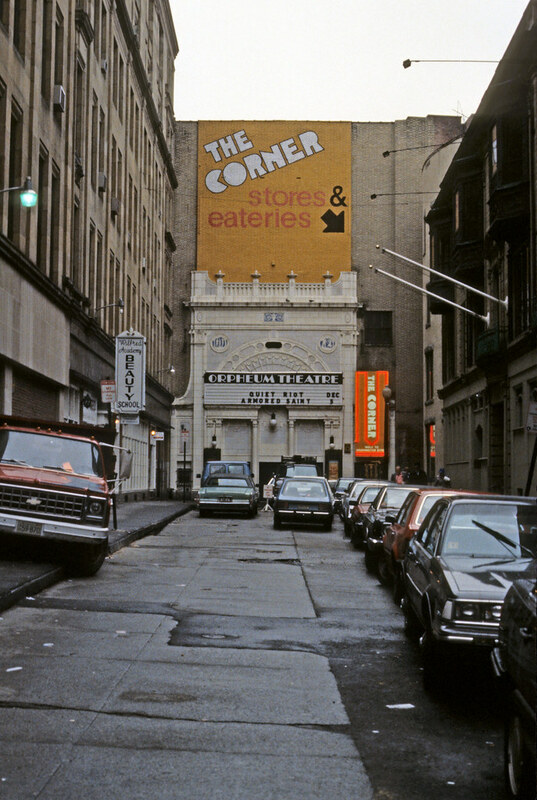 Ever mindful to not cross the invisible line from the Theater District to the Combat Zone, I do wish I had snapped a few photos down those streets, as the marquees were a sight to see. 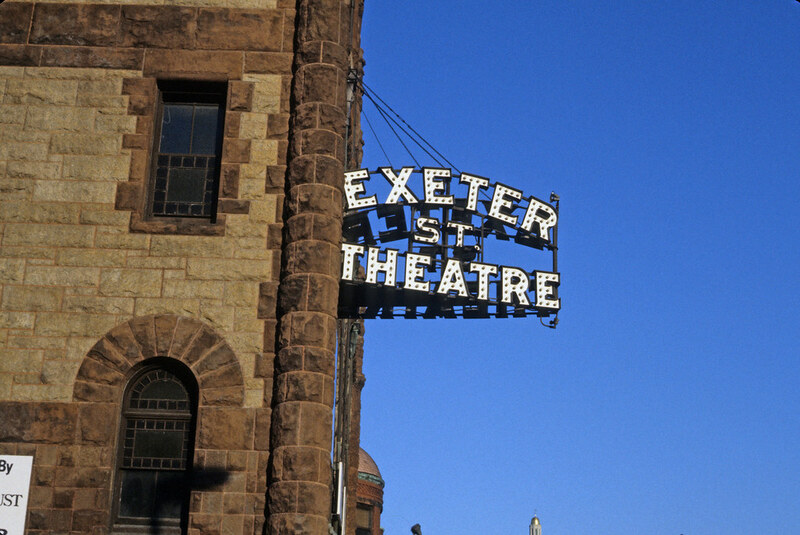 It is crazy to realize that just a few T stops away, the Exeter Street Theater that had been a theater since 1914, closed in 1984, only 2 years after I had first visited there. This is when I realized that these great old places don’t stick around much, and felt that anguish of the loss of place. And I realized subconsciously that I needed to do something to help preserve what was left, even if only in my amateurish photos. 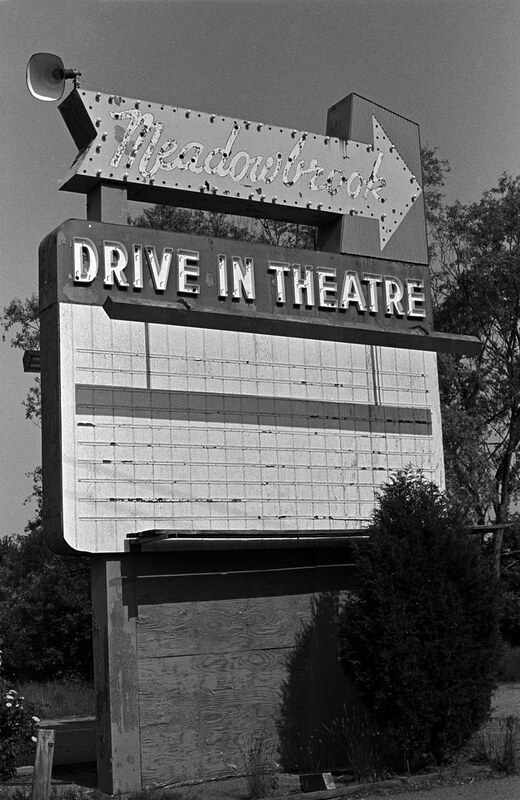 Until now I didn’t see the connection, but just recently I realized that in a similar pattern, a few years later, at a different school, my first photo project there was on the remaining (mostly closed) Drive In Movie theaters of Massachusetts.  What now would be called “Urban Exploration / Archeology” – I’d drive around, Yellow Pages and paper maps at my side, and see what was left of this vanishing breed of entertainment. And on the way to those places I’d discover even more cool places! 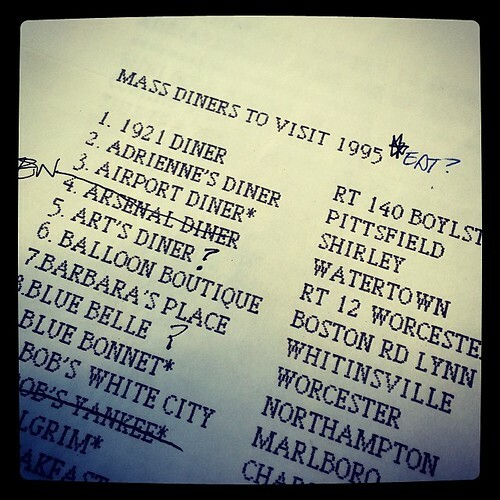 Diners, Rexalls, Amusement Parks, Vintage Signs, Mini Golf Courses, Ice Cream Stands, Giants, Vintage Cars, history – everywhere. 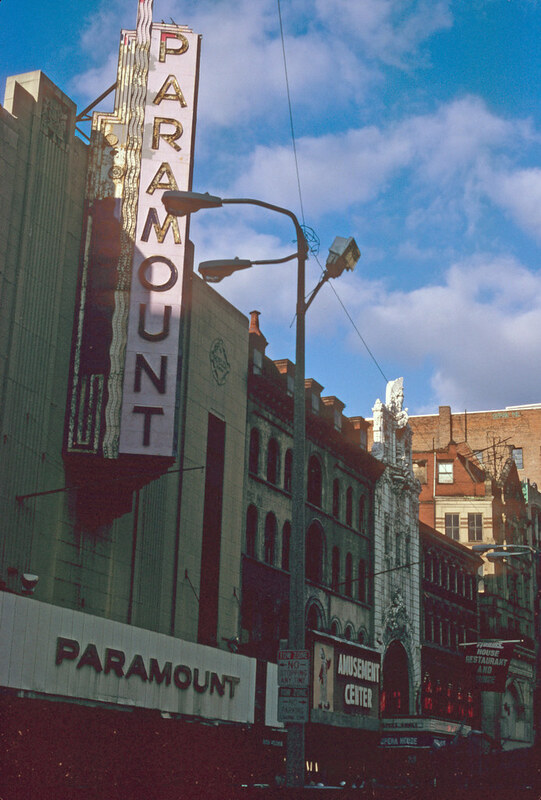 Fast forward to Retro Roadmap, and here I am, still shooting photos of old theaters and roadside, downtown places. Happy when they’re still around, anguished when they’re torn down, and hoping that my site helps people know where these places are, so they too can visit them and perhaps allow them to stick around a few years more.